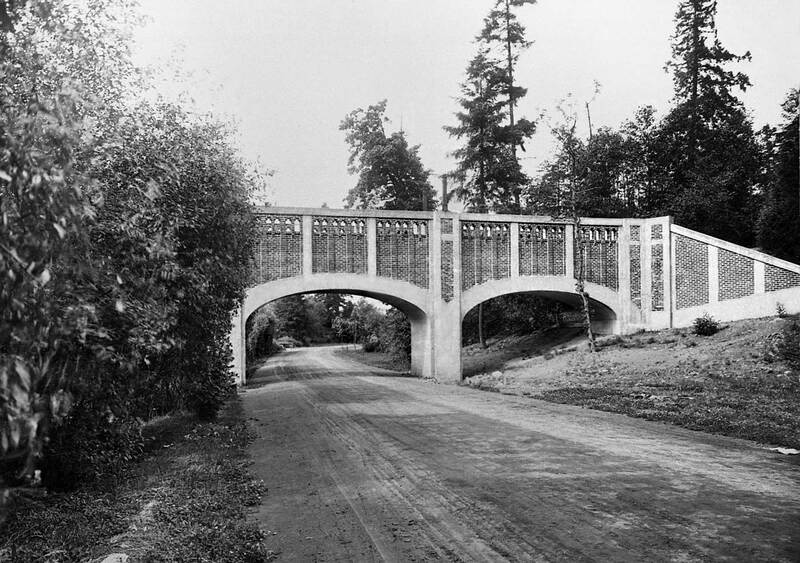 Built in 1911 to the plans of architect Walter Ross Baumes Willcox, the Arboretum Aqueduct, also known as the Arboretum Sewer Trestle, was designed to carry the then new North Trunk Sewer over the nearly new Lake Washington Boulevard. A walkway was also laid atop the sewer pipe for the few pedestrians that might find this 180 foot-long viaduct with six equally arched bays more to their liking that the ground route (in line with Lynn Street) through Washington Park. On the viaduct passengers were also safe from the traffic on Lake Washington Boulevard. It passed beneath them, except the part that did not. For instance, in the Spring of 2008 Garfield High’s girls softball team was returning home on a chartered bus after a 10 to 1 loss to Lake Washington High in Kirkland. The driver explained that he was following GPS instructions when the top of his bus, which was nearly three feet taller than the about 9-foot hole prescribed by Willcox for the motor traffic of 1911, was sheered away. 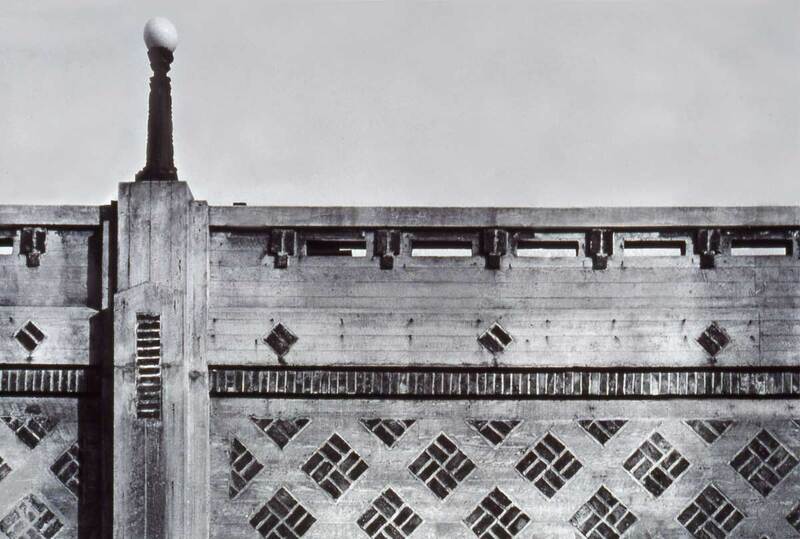 While the bus lost its roof and several students were sent by ambulance to Harborview Hospital, the reinforced concrete trestle was barely chipped, and the “picturesque qualities” of the trestle’s honored ornamental brick patterning has never effected its strength. Among the several landmark lists that have embraced this artful but sturdy bridge is the National Register of Historic Places. 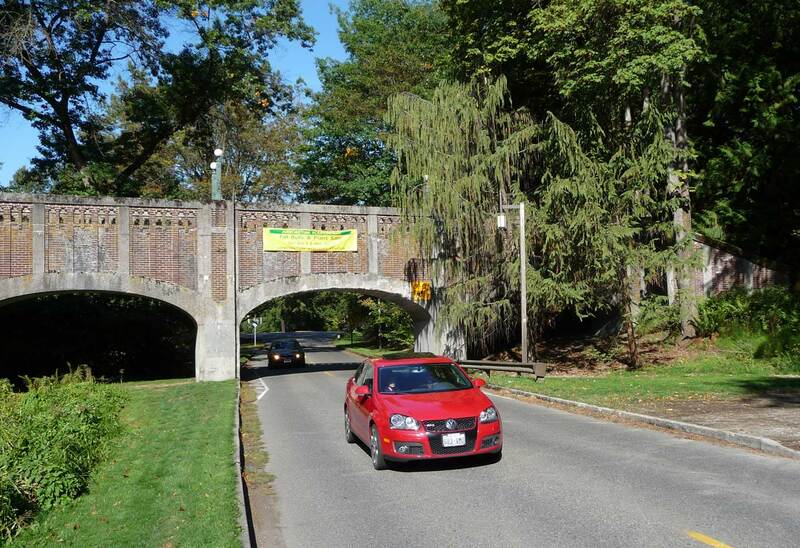 For comparison, a section of the west face of the Queen Anne Boulevard retaining wall (1913), another Willcox design. Funny writing! Interesting information, helped to clear my mind about what it is; a footbridge, a sewer, an aqueduct, and an accident waiting to happen.